FeastHome Reviews – This item seems not really considered worthy to some people, but it’s actually a thing you should have in the kitchen. In fact, a cutting board is essential in food prep. 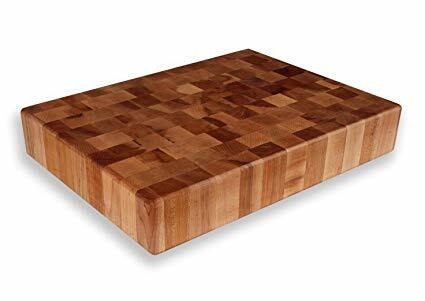 In this article, I’ll give you the best cutting board to have in your kitchen. 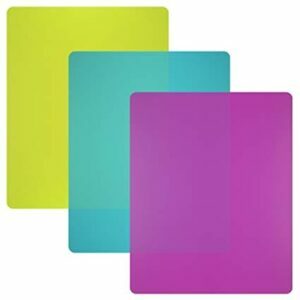 There are many cutting boards that are specifically designed for meat, vegetable, or light-textured food. There’re even some that designed for knives so that your knives won’t get dull easily. If you, by any chance, are looking one for meat, this can actually fit the requirements. It can withstand with deep scratches and marks, and it’s completed with anti-slip edges, too. It’s highly recommended for you who love to cook meat regularly. It’s made out of non-porous material. It’s suitable for heavy mobility. It’s a bit difficult when you have to clean it due to the unwieldy and slippery surface. 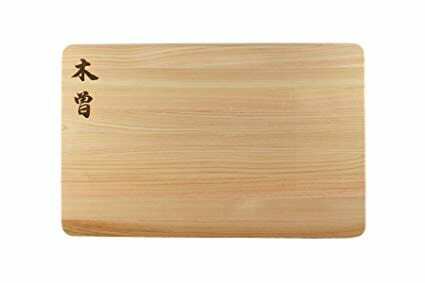 Bamboo is a good material for many uses in house interior or decoration, and it can be used as a great cutting board, too. This Bamboo board has a stunning surface due to micro lines on it. It’s also lightweight and doesn’t make your knives dull. 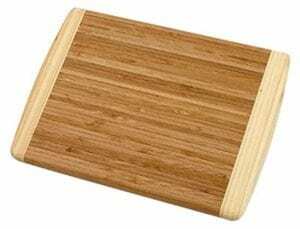 If you’re currently looking for a cutting board, bamboo can be an alternative choice. It’s easy to use and to maintain. Wood is known to have a concrete material, good durability, and elegant look as seen on its surface like a chess board with a nice pattern. This cutting board has some merits that you might want to look at. It can absorb water but please don’t throw it in the sink. It’s thick enough so you can firmly hold it when using and keeps your table stay safe from scratches during heavy usage. It keeps your knife sharp. 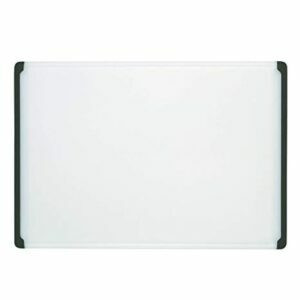 This plastic cutting board works properly for small and light use such as cutting smooth-textured fruits, vegetables, or cheese. It’s a thin board so you can easily move it. Its colorful surface makes you can easily find it because of its distinctive color scheme. It’s also durable as long as you don’t accidentally burn it when cooking. Inexpensive, handy, and great for the everyday cooking task. It has a smooth surface and therefore slippery, so be careful when cutting. A surplus of liquids is the kind of struggle when cutting juicy food. It can be hard when you’re in a hurry and need to chop it properly and quickly. You need a cutting board that’s able to tackle that problem. Epicurean is the solution to that. The juicy groove feature can keep your table clean by holding the excess amount of liquids produced when cutting. With all the benefits description, you wouldn’t mind spending some money on it because it’s expensive. Japan is famous for its culture and cuisine that attract many visitors to come. I bring you to Japan to see what they use for cutting boards. Thoughtfully designed for Japanese knives, this board is made out of Japanese cypress and it has a smooth surface. This is the secret why Japanese knives stay sharp for a long time, which is a substantial help for a chef. It’s taken from a renewable source. It’s bacteria resistant and it’s free from the mold after a period of usage. Designed with a special feature that’ll help you chop different vegetables, this board has three bowls on the surface. You can cut and put them in each bowl to distinguish the ingredients based on their categories. It’ll allow you to finish your task of preparing food faster and efficient. It guarantees you to have your satisfaction. It’s made out of organic material. It’s expensive but worth the price. Now you understand why cutting boards are necessary. 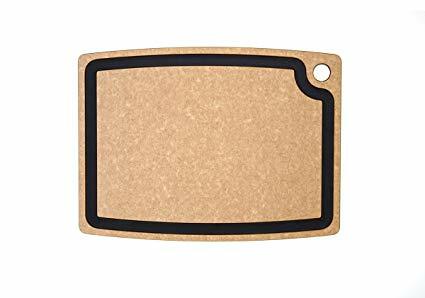 Best cutting board with a specific type and function can maximize your cook prep in the kitchen.